Dr Jay anth A B, BHMS., MD (HOM) practices homeopathy in Bangalore, India. He has a very good experience for the past 15 years. 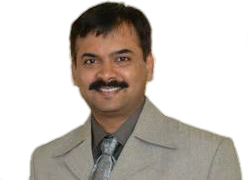 Dr.Jayanth presents a modern and scientific face of homeopathy. His huge practice supported by clinical research based data, statistics and scientific documentation, makes it unique in the homeopathic worked. He not only presents the ‘new face’ of modern homeopathy; but also responsible for ‘new phase’ in homeopathy. His clinic in Bangalore is visited by patients from all over. Dr Jayanth A B has completed his Degree BHMS(Bachelor of Homoeopathy and surgery) from Government Homoeopathic Medical College and Hospital Bangalore and Completed his Post Graduation MD(Doctor of Medicine)-in Homoeopathy from Bharatesh Homoeopathic Medical College & Hospital Belgaum-Affiliated to Rajiv Gandhi University of Health Sciences Bangalore- Karnataka. He is the President of Homoeopathic Medical Association of India, Karnataka State Branch. He was an Executive Member-the Homoeopathic Medical Association of India, Karnataka State Branch from the year 1993 to 1997.During the same period he was elected General Secretary- Junior Doctors Association –Government Homoeopathic Medical College & Hospital- from the year 1993 to 1994. He was also elected as Treasurer of the Homoeopathic Medical Association of India, Karnataka State Branch from the year 1997 to 2007. just before he was elected as president in 2010 he served as General secretary of Homoeopathic Medical Association of India , Karnataka State Branch, from the year 2007 to 2010. Homoeopathic Conference 2010, at Mysore At B.N. Bahadur Institute of Management Sciences, Mysore –Sept. 2010. Homoeopathy Day Rally will be conducted every year on April 10th an awareness program of Homoeopathic Medical Association of India, Karnataka State Branch, ongoing from 2001 is organized every year to mark the Birth Anniversary of Dr. Samuel Hahnemann- founder of homoeopathy with his active participation. He continues to conduct workshops on a regular basis to spread awareness of new modern homeopathic procedures and medicines and strengthen the homeopathic understanding among the practitioners. 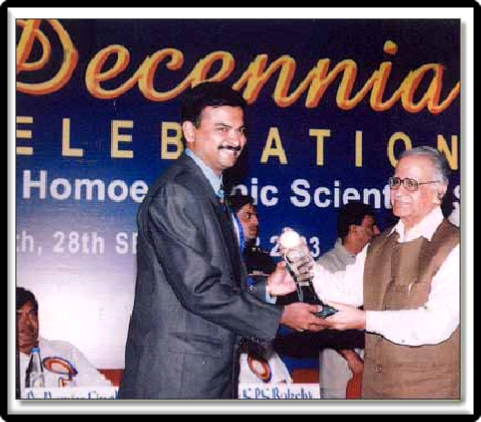 Recognizing his contributions to the homeopathic world in 2003 DR JAYANTH AB was awarded EXCELLENCY AWARD. AWARD GIVEN by THEN HONORABLE GOVERNER OF KARNATAKA SHRI CHATHURVEDHIJI.